Frank_Wx wrote: NAM looked amazing. But GFS did not. Look at thus trend over the PNA region. Ridge going flatter and flatter each consecutive run. Do we still have a chance of this storm still coming are way ? I noticed the extended forecast for my area has partly cloudy for Tues and Wed already. Wow, NWS backed off big time, no snow now Mon night or Tuesday.They just mention a 'period" of snow Tuesday night 1 to 3 AM, and a littl more Wed morning! Looks like those models with the "fizzle" solution are taking priority ATM.Huge shift from yesterday's disco on NWS.Looks like a 2 to 3 inch situation to me up here. Windshield wiper mode in full effect as Bernie Rayno would say! SIGH. Stop (clap) living (clap) and (clap) dying (clap) by (clap) models (clap) each (clap) run!!!! Models will not have a handle on this evolution until Sunday PM. Please! Relax! The global models have been struggling mightily this winter... I suspect LaNina may be the cause. 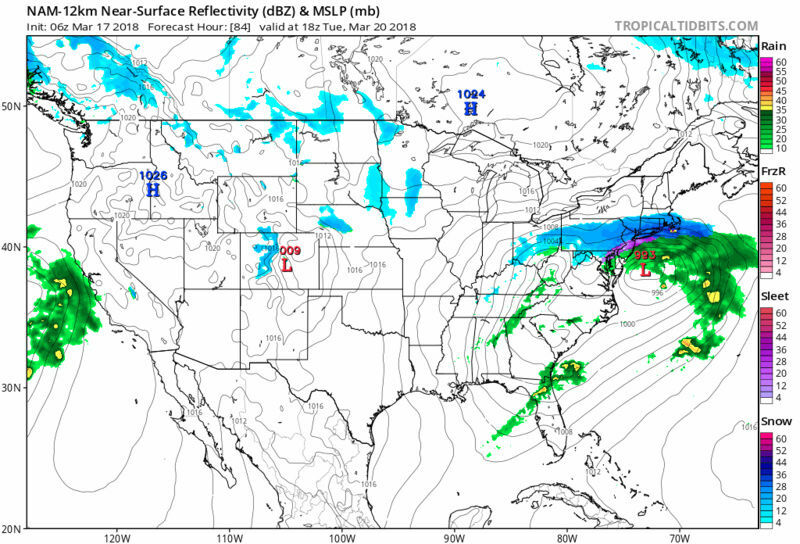 As I've been saying all winter, the hi-res models are the way to go and will be in range tomorrow. 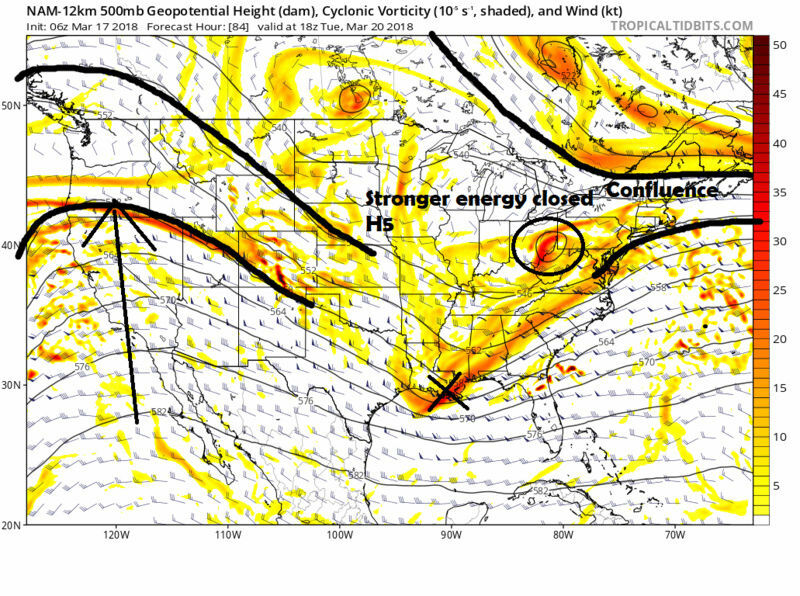 Storms have trended north/west inside 48 hours and until I'm proven otherwise, this event will be no different. 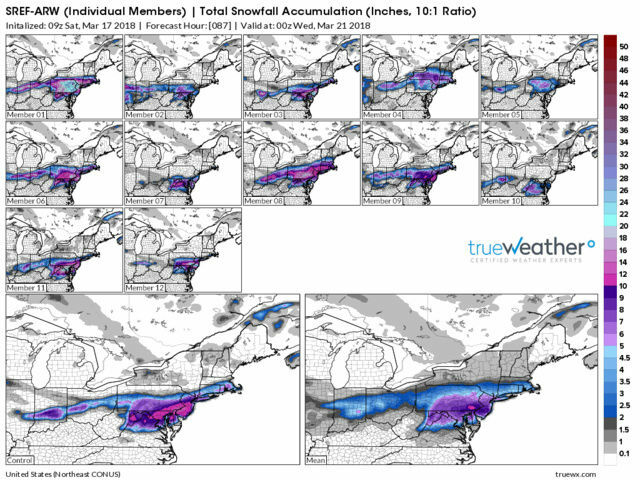 nutleyblizzard wrote: The global models have been struggling mightily this winter... I suspect LaNina may be the cause. As I've been saying all winter, the hi-res models are the way to go and will be in range tomorrow. 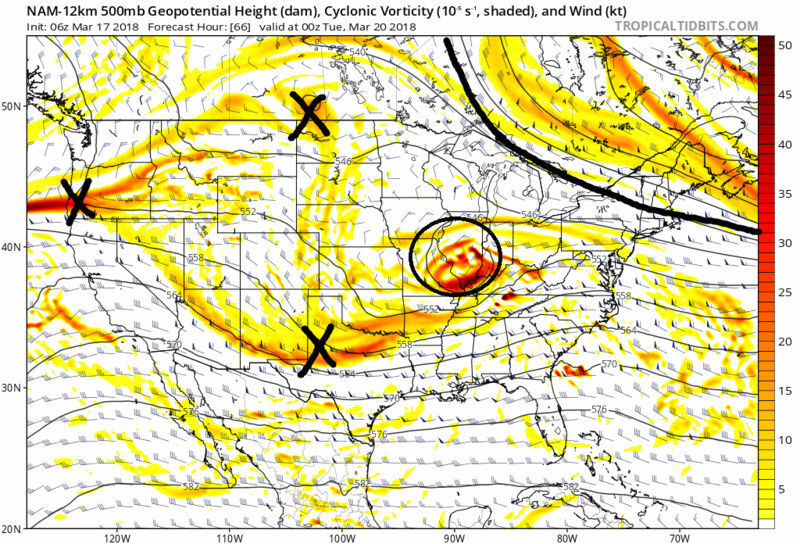 Storms have trended north/west inside 48 hours and until I'm proven otherwise, this event will be no different. SoulSingMG wrote: SIGH. Stop (clap) living (clap) and (clap) dying (clap) by (clap) models (clap) each (clap) run!!!! Models will not have a handle on this evolution until Sunday PM. Please! Relax! Ryan - gotta love ya for your scientific input. You hit me right in the heart with it. Keep up the good work! Thank You Soul for saying this. Folks...listen. Major face palm action going on right now. The last storm was a mere 4-5 days ago. Have you forgotten what happened last time in such a short time ago??? The same people do the same thing, write off the system when the models are doing what they are doing, then in 2 days from now when the models start to catch on to what is ACTUALLY going to happen the back peddling occurs. Most TV Mets live and die with one model. What they say now is not Gospel. The NWS is the biggest offender to putting out the forecasts based on the model output so its no surprise as to what they are currently saying. Their forecast will change 17 times between now and Tuesday. Count on it. Temper expectations, esp along the coast, and sit back and let it playout. DO NOT post..."its over for the coast" crap in this thread, because its not over for the coast. We have ALL of Sat, Sunday, Monday and Tuesday before wave 1 is upon us. That means we still have 3.5-4 days of model mayhem. Again think long and hard back to 4-5days ago and recall what the models were doing 3-4 days out vs what ended up being reality when we got inside of 12-24hrs and even now cast. Think about it.................. .................Now please sit back and read below. Patience grasshoppers...let it play out. We have until Monday 12z.....at least. I think Crankypants said the same thing! We may win or lose but the game is still being played. Thanks SROC for your usual sanity as well. Scott I don’t understand the reason for your post chastising people for model hugging or saying the threat is over yadda yadda yadda. I just went back and read the last two pages and saw hardly any. Maybe two guys MAYBE but even their posts weren’t much of what you complained about. Did I miss something? syosnow94 wrote: Great job Ryan. GFS has trough after trough in the east with another possible storm at the end of this month. 9z SREF should look good for our area since the ARW's and NMB's are amped. Oooops, sorry guys if my 7:04 AM post upset anybody.I was only the messenger reporting the NWS disco this morning.Didn't want to cast negativity here.I want an area wide snowtsorm like everybody else. docstox12 wrote: Oooops, sorry guys if my 7:04 AM post upset anybody.I was only the messenger reporting the NWS disco this morning.Didn't want to cast negativity here.I want an area wide snowtsorm like everybody else. Doc is a trouble maker, always has been. He lies back in the weeds waiting for moments like this to pounce. Arws are a big hit for snj and Philly area. LOL, throw gasoline on the fire why don't ya!!!!! I'm banishing myself to weather banter and OTI,LOL.